By using the Site, including but not limited to, setting up a Site account, you agree to be bound by these TOU. If you do not agree to be so bound, you are not authorized to use the Site. These TOU are a legal contract between you and BIBBOARDS and govern your access to and use of the Site together with any services offered through the Site. If you are using the Site on behalf of a business entity, you represent that you have the authority to bind the entity to this Agreement. Your rights to use the Site are limited by applicable federal, state, and local laws and regulations. BIBBOARDS may offer promotions, sweepstakes, contests, services, or features that have their own terms, and to the extent any portion of those special terms conflict with these TOU, the special terms will govern for that specific portion. In accordance with 47 U.S.C.§ 230, parents should be aware that there are parental control protections (such as computer hardware, software, or filtering services) that are commercially available that may assist them in limiting access to material that is harmful to minors. Examples of some of these protection services include Cybersitter (www.solidoak.com) and Net Nanny (www.netnanny.com) BIBBOARDS in no way endorses or is responsible for these services. The purpose of the Site is to provide information on our products and services. Information contained on the Site is provided for informational purposes only. You agree that you will only use the Site for its intended purposes, and not for other commercial ventures without first seeking approval from BIBBOARDS. By using the Site, you may need to interact with other Site users. You are solely responsible for any such interaction and agree to do so in a manner that is legal, respectable, and consistent with these TOU. BIBBOARDS is not responsible for the conduct of any other user who may interact with you, regardless of whether or not it is done through the Site. Any and all Site services are subject to availability. While BIBBOARDS will try its best to make the Site content useful, BIBBOARDS does not warrant that any Site content will be useful or reliable. BIBBOARDS does not offer legal or financial advice through the Site. Nothing in these TOU nor on the Site is to be interpreted as legal or financial advice or guidance. RESULTS WILL VARY PER USER/PERSON. Your level of success in attaining the results claimed in our materials depends on a number of factors. THESE FACTORS VARY ACCORDING TO USERS, AND THEREFORE, BIBBOARDS CANNOT GUARANTEE YOUR RESULTS. BIBBOARDS hereby grants you a revocable and nonexclusive right and license to use and access the Site (including any underlying software) in a manner that is consistent with the other terms in these TOU and the Site’s intended purposes. BIBBOARDS reserves the right to terminate this License for any or no reason and at any time without notice to you, including, but not limited to, for breach of any term contained in these TOU. Use of the Site by competitors is not authorized without express, written permission from us in advance of such access. BIBBOARDS reserves the right to modify these TOU at any time without prior notice. You should visit the Site from time to time to review the current TOU. By using the Site subsequent to any modification of these TOU, you agree to be bound by such modification(s). Your use of the Site is always subject to the TOU in effect at the time of use. BIBBOARDS does not represent that any of the Site content is completely accurate, and therefore any reliance on the Site is done at your own risk. The Site may allow you to upload your own user generated content (“UGC”) in certain areas. BIBBOARDS is not responsible for any UGC. Any UGC you upload/post to the Site is done on a non-proprietary and non-confidential basis, and you agree that BIBBOARDS has a royalty-free, perpetual, irrevocable, worldwide, non-exclusive right and license to use, reproduce, modify, adapt, publish, translate, create derivative works from, distribute, perform, and display any UGC for the purpose of operating and/or marketing the Site or any related services offered through the Site. This license includes any right of publicity right that may be present in the UGC. BIBBOARDS is not required to treat any UGC as confidential. You further agree that you will not upload/post to the Site any UGC that infringes the rights, including but not limited to, intellectual property, privacy, publicity, or contract of some other person or entity. You shall be solely liable for any damages, royalties, or fees resulting from any infringement of rights or any other harm resulting from any UGC you upload/post. You further represent and warrant that: (i) you own all right, title, and interest, including the intellectual property rights, to any UGC uploaded/posted by you to the Site or you have been granted the right by the respective owner to upload/post the UGC; and (ii) your UGC does not violate the intellectual property rights, privacy rights, publicity rights, contract rights or any other rights of any person or entity. BIBBOARDS reserves the right to comply and cooperate with any and all legal requirements, legal authorities, and/or law enforcement agencies regarding the investigation of, or request to disclose, information related to your UGC. You waive and hold harmless BIBBOARDS from any claims resulting from any action taken by BIBBOARDS during or as a result of BIBBOARDS’s investigation and/or from any actions taken related to investigations by either BIBBOARDS or law enforcement. BIBBOARDS reserves the right to refuse, delete, or edit any UGC without cause and without notice for any or no reason including, but not limited to, for any action that BIBBOARDS determines is inappropriate or disruptive to the Site or to any other user of the Site. BIBBOARDS is under no duty to, and does not represent it will, monitor, edit, and/or remove any UGC. BIBBOARDS does not accept unsolicited content or ideas you may attempt to transmit to BIBBOARDS directly. As such, we take no responsibility for such transmitted content or ideas. If you do send BIBBOARDS unsolicited content or ideas, you agree that BIBBOARDS may use such content and ideas in any way BIBBOARDS wishes without any compensation to you. Other than the exceptions referenced in these TOU or noted elsewhere, the major exception being UGC uploaded/posted by Site users which remains the property of the users, all other content on the Site is the property of BIBBOARDS including, but not limited to, all marks, logos, names, text, data, documents, messages, pictures, images, video, audio, graphics, links, software and its underlying code, domain name, or other electronic files (referred hereafter as “BIBBOARDS Content”). Certain elements of the Site, including but not limited to, text, graphics, photos, images, video, audio, color selections, and organization and layout, are copyright protected under United States and international copyright laws. Any BIBBOARDS Content protected by intellectual property laws may not be copied, republished, posted, modified, edited, transmitted, distributed, used to create derivative works of, or reverse engineered without permission, except that you may print out one copy of each Site page solely for non‑commercial personal or educational use. No right, title, or interest in any BIBBOARDS Content is transferred to you as a result of you accessing, downloading, or printing such content from the Site. Any use of BIBBOARDS Content must display the appropriate copyright, trademark, and other proprietary notices. You acknowledge that you have no right, title, or interest in or to the Site and/or BIBBOARDS Content. BIBBOARDS, BIBBOARDS ATHLETICS and BIBBOARDS are marks of BIBBOARDS. Other marks, names, and logos on the Site are the property of their respective owners. There may be other content located on the Site not owned by BIBBOARDS, and you should respect those property rights as well. All rights not expressly granted herein are reserved to BIBBOARDS. (iii). Identification of the material that is claimed to be infringing or to be the subject of infringing activity and that is to be removed or access to which is to be disabled and information reasonably sufficient to permit BIBBOARDS to locate the material. (iv). Information reasonably sufficient to permit BIBBOARDS to contact you as the complaining party, such as an address, telephone number, and, if available, an electronic mail address at which the complaining party may be contacted. BIBBOARDS takes copyright and other intellectual property issues seriously, and will terminate any Site users or related accounts that are connected to valid and repeat copyright infringement complaints. If you believe that any content on the Site violates or infringes your intellectual property rights, other than related to copyright, please send a detailed email to info@bibboards.com detailing your allegation. 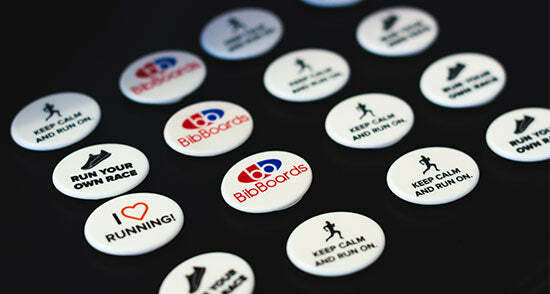 BIBBOARDS takes infringement of intellectual property rights seriously and will investigate the matter. The Site may feature advertisements from third parties not affiliated with BIBBOARDS. The presence of any third party advertisements in no way implies: (1) any relationship or association between the advertisers and BIBBOARDS; or (2) that BIBBOARDS endorses or recommends the advertised companies, goods, and/or services. BIBBOARDS is not liable or responsible for any harm or damages you may suffer if you purchase or use any advertised goods or services. You purchase or use any advertised goods or services at your risk. If any of the advertisements contain links to third party sites, please continue reading the language in this section about external links. The Site may contain links to external sites not controlled and/or affiliated with BIBBOARDS. If you use these links, you will leave the Site. BIBBOARDS provides these links to you only as a convenience. BIBBOARDS is not responsible for the content at the linked sites, including, without limitation, links displayed on such sites. You access any linked sites at your own risk. BIBBOARDS may also allow interaction between the Site and other third party sites such as Twitter and other social media sites. This may include “Like” buttons or other interactions through third party buttons or plugins on the Site that when used, may allow you to share content from the Site or other content with other persons on or through the third party sites or elsewhere. Please consult the privacy policies of these third party sites before using them to make sure you are comfortable with the level of sharing. BIBBOARDS has no control over these third party sites and you use these interaction functions at your own risk. BIBBOARDS is in no way liable for any harm to you as a result of using one of these interaction functions. Upload/post anything that imposes an unreasonable or disproportionately large strain on BIBBOARDS’s network or computer infrastructure. Engage in any behavior that is designed to hack into or gain unauthorized access to protected areas of the Site and/or BIBBOARDS’s computers, servers or networks, and/or any computers or systems used by other users of the Site. Upload/post anything that could destroy, damage, or impair any portion of the Site or any computers, systems, hardware, or software used by BIBBOARDS or other users. Use any information regarding other Site users that is accessible on the Site, disclosed to you by other Site users, or disclosed to you by BIBBOARDS, except to enter into and complete official transactions through the Site. Use any information regarding other Site users that is accessible on the Site, disclosed to you by other Site users, or disclosed to you by BIBBOARDS for purposes of solicitation, advertisement, initiation of unsolicited e-mail or spam, harassment, invasion of privacy, or for otherwise objectionable conduct. The previous list of prohibitions is not exclusive. BIBBOARDS reserves the right to terminate your access to the Site or any Site services for any reason. By accepting these TOU, you waive and hold harmless BIBBOARDS from any claims resulting from any action taken by BIBBOARDS during or as a result of BIBBOARDS’s investigation and/or from any actions taken as a consequence of investigations by either BIBBOARDS or law enforcement related to your use of the Site. You agree to indemnify, defend and hold harmless BIBBOARDS, including its officers, directors, employees, affiliates, agents, licensors, representatives, suppliers, contractors, attorneys, and business partners (“Indemnified Parties”), from and against any and all claims, demands, losses, costs, damages, liabilities, judgments, awards, and expenses (including attorneys' fees, costs of defense, and direct, indirect, punitive, special, individual, consequential, or exemplary damages) BIBBOARDS or any of the Indemnified Parties suffer in relation to, arising from, or for the purpose of avoiding, any claim or demand from a third party that relates to your use of the Site and/or any Site goods or services, your breach of these TOU, the use of the Site by any person using your password, or any violation of an applicable law or regulation by you. Your indemnification obligation shall survive the termination of these TOU. TO THE EXTENT ALLOWED UNDER THE LAW, IF A DISPUTE ARISES BETWEEN ONE OR MORE SITE USERS, EACH OF YOU RELEASE BIBBOARDS, OUR OFFICERS, DIRECTORS, AGENTS, EMPLOYEES, CONTRACTORS AND SUPPLIERS FROM CLAIMS, DEMANDS AND DAMAGES (ACTUAL AND CONSEQUENTIAL) OF EVERY KIND AND NATURE, KNOWN AND UNKNOWN, SUSPECTED AND UNSUSPECTED, DISCLOSED AND UNDISCLOSED, ARISING OUT OF OR IN ANY WAY CONNECTED WITH SUCH DISPUTES. TO THE EXTENT ALLOWED UNDER THE LAW, YOU WAIVE THE PROTECTIONS AFFORDED BY CALIFORNIA CIVIL CODE § 1542, WHICH SAYS: “A GENERAL RELEASE DOES NOT EXTEND TO CLAIMS WHICH THE CREDITOR DOES NOT KNOW OR SUSPECT TO EXIST IN HIS [OR HER] FAVOR AT THE TIME OF EXECUTING THE RELEASE, WHICH IF KNOWN BY HIM [OR HER] MUST HAVE MATERIALLY AFFECTED HIS [OR HER] SETTLEMENT WITH THE DEBTOR.” YOU ACKNOWLEDGE AND AGREE THAT THIS WAIVER IS AN ESSENTIAL AND MATERIAL TERM OF THIS AGREEMENT, AND THAT WITHOUT SUCH WAIVER, THIS AGREEMENT WOULD NOT HAVE BEEN ENTERED INTO BY BIBBOARDS. In order to perform certain actions on the Site, you will need to set up a user account with a user name and password. You are responsible for maintaining the confidentiality of your password and user name, and agree to notify BIBBOARDS if your password is lost, stolen, disclosed to an unauthorized party, or otherwise may have been compromised. You are responsible for all activities that occur under your Site account. You may only set up one Site account, and must do so in your own name. You agree to immediately notify BIBBOARDS at info@bibboards.com of any unauthorized use of your Site account or any other breach of security in relation to the Site known to you. If BIBBOARDS suspends or terminates your Site account under these TOU, you acknowledge that all information and content associated with such account will no longer be available to you. You may cancel your Site account at any time by contacting info@bibboards.com. TO THE EXTENT ALLOWED UNDER THE LAW, BIBBOARDS AND/OR ITS AFFILIATES MAKE NO EXPRESS OR IMPLIED WARRANTIES, REPRESENTATIONS OR ENDORSEMENTS WHATSOEVER WITH RESPECT TO THE SITE OR ANY GOODS OR SERVICES OFFERED ON OR THROUGH THE SITE. TO THE EXTENT ALLOWED UNDER THE LAW, BIBBOARDS AND/OR ITS AFFILIATES EXPRESSLY DISCLAIM ALL WARRANTIES OF ANY KIND, (EXPRESS, IMPLIED, STATUTORY, OR OTHERWISE), INCLUDING, BUT NOT LIMITED TO, IMPLIED WARRANTIES OF MERCHANTABILITY, SECURITY, COMPLETENESS, TIMELINESS, APPROPRIATENESS, ACCURACY, FITNESS FOR A PARTICULAR PURPOSE, FREEDOM FROM COMPUTER VIRUSES, TITLE, AND NON-INFRINGEMENT. TO THE EXTENT ALLOWED UNDER THE LAW, BIBBOARDS AND/OR ITS AFFILIATES EXPRESSLY DISCLAIM ANY IMPLIED WARRANTY ARISING FROM COURSE OF DEALING OR USAGE OF TRADE AND DISCLAIM ANY OBLIGATION, LIABILITY, CLAIM OR REMEDY IN TORT, WHETHER OR NOT ARISING FROM THE NEGLIGENCE OF BIBBOARDS. TO THE EXTENT ALLOWED UNDER THE LAW, THE DISCLAIMER OF WARRANTIES APPLIES TO THE SITE, ITS CONTENT, AND ANY GOODS OR SERVICES OFFERED ON OR THROUGH THE SITE. BIBBOARDS AND/OR ITS AFFILIATES DO NOT WARRANT THAT THE SITE FUNCTIONS OR CONTENT WILL BE UNINTERRUPTED, TIMELY, OR SECURE. TO THE EXTENT ALLOWED UNDER THE LAW, BIBBOARDS AND/OR ITS AFFILIATES DISCLAIM ANY LIABILITY FOR ANY DAMAGES WHATSOEVER INCURRED BY ANY SITE USER IN CONNECTION WITH THE USE OF ANY OTHER WEBSITE ACCESSED THROUGH THE SITE, AND DISCLAIMS ANY LIABILITY DERIVED FROM THE USE OF ANY LINKS THAT MAY APPEAR ON THE SITE. TO THE EXTENT ALLOWED UNDER THE LAW, BIBBOARDS AND/OR ITS AFFILIATES DO NOT WARRANT THE ACCURACY OR COMPLETENESS OF THE SITE OR THAT SITE AND/OR ITS CONTENT WILL BE AVAILABLE AND/OR APPROPRIATE IN ALL AREAS. TO THE EXTENT ALLOWED UNDER THE LAW, BIBBOARDS AND/OR ITS AFFILIATES DO NOT WARRANT THAT THE SITE AND/OR CONTENT WILL BE ERROR-FREE, THAT ANY ERRORS ON THE SITE WILL BE CORRECTED, OR THAT THE SITE/SERVERS ARE FREE OF VIRUSES OR OTHER HARMFUL COMPONENTS. YOU ASSUME THE ENTIRE COST OF ALL NECESSARY REPAIRS IN THE EVENT YOU EXPERIENCE ANY LOSS OR DAMAGE ARISING FROM THE USE OF THE SITE OR ANY SITE GOODS OR SERVICES. TO THE EXTENT ALLOWED UNDER THE LAW, BIBBOARDS AND/OR ITS AFFILIATES MAKE NO WARRANTIES THAT YOUR USE OF THE SITE WILL NOT INFRINGE THE RIGHTS OF OTHERS AND ASSUMES NO LIABILITY FOR SUCH INFRINGEMENT. TO THE EXTENT ALLOWED UNDER THE LAW, IN NO EVENT WILL BIBBOARDS OR ITS OFFICERS, DIRECTORS, EMPLOYEES, AFFILIATES, AGENTS, LICENSORS, REPRESENTATIVES, ATTORNEYS, AND/OR BUSINESS PARTNERS, NOR ANY PARTY INVOLVED IN THE CREATION, PRODUCTION OR TRANSMISSION OF THE SITE, BE LIABLE FOR ANY DAMAGES WHATSOEVER, INCLUDING, BUT NOT LIMITED TO, ANY DIRECT, INDIRECT, INCIDENTAL, CONSEQUENTIAL, SPECIAL, EXEMPLARY, PUNITIVE, ACTUAL, OR OTHER INDIRECT DAMAGES, INCLUDING LOSS OF REVENUE OR INCOME, LOST DATA, LOSS OF GOODWILL, BUSINESS INTERRUPTION, PAIN AND SUFFERING, EMOTIONAL DISTRESS, OR SIMILAR DAMAGES, EVEN IF BIBBOARDS AND/OR ANY OF THE AFOREMENTIONED PARTIES HAVE BEEN ADVISED OF THE POSSIBILITY OF SUCH DAMAGES, ARISING OUT OF: (1) THE USE OR INABILITY TO USE THE SITE OR ANY SITE GOODS OR SERVICES; (2) ANY TRANSACTION CONDUCTED THROUGH OR FACILITATED BY THE SITE; (3) ANY CLAIM ATTRIBUTABLE TO ERRORS, OMISSIONS, OR INACCURACIES ON THE SITE; AND/OR (4) ANY OTHER MATTER RELATING TO THE SITE, ANY GOOD OR SERVICE OFFERED ON OR THROUGH THE SITE, AND/OR ANY LINKS ON THE SITE. TO THE EXTENT ALLOWED UNDER THE LAW, IN NO EVENT WILL THE COLLECTIVE LIABILITY OF BIBBOARDS OR ITS OFFICERS, DIRECTORS, EMPLOYEES, AFFILIATES, AGENTS, LICENSORS, REPRESENTATIVES, ATTORNEYS, AND/OR BUSINESS PARTNERS, OR ANY PARTY INVOLVED IN THE CREATION, PRODUCTION OR TRANSMISSION OF THE SITE, TO ANY PARTY, REGARDLESS OF THE TYPE OF ACTION WHETHER IN CONTRACT, TORT, OR OTHERWISE, EXCEED THE GREATER OF $100.00 OR THE AMOUNT YOU PAID TO BIBBOARDS AND/OR THE AFOREMENTIONED PARTIES FOR THE APPLICABLE GOOD OR SERVICE OUT OF WHICH THE LIABILITY AROSE. BIBBOARDS operates the Site from its headquarters in the United States, and the Site is intended only for users within the United States. If you use the Site outside the United States, you are responsible for following your applicable local laws and determining, among other things, whether your use of the Site violates any of those local laws. By using the Site, you agree and acknowledge that information about you, including personally identifiable information, may be transmitted to, processed in, and stored in the United States. You acknowledge that any opinions and/or recommendations contained on the Site are not necessarily those of BIBBOARDS nor endorsed by BIBBOARDS. ANY RELIANCE ON ANY OPINIONS OR RECOMMENDATIONS OFFERED ON THE SITE IS DONE AT YOUR OWN RISK. BIBBOARDS does not guarantee or promise that any opinions and/or recommendations on the Site are accurate or will be helpful to any issue you may have. You agree that BIBBOARDS is not liable to you or anyone else for any harm that might arise as a result of using and/or implementing in any manner any of the opinions or recommendations found on the Site. BIBBOARDS is not responsible for any harm or damages of any kind that may occur to you due to any glitches, hacks, breaches or any other unauthorized access to BIBBOARDS’s or its vendors’ computer or network systems, including any BIBBOARDS hardware or devices, that may or may not result in the disclosure of your personal information you provided to us. THE TOU AGREEMENT INCLUDES A CLASS ACTION WAIVER AND A WAIVER OF JURY TRIALS, AND REQUIRES BINDING ARBITRATION ON AN INDIVIDUAL BASIS TO RESOLVE DISPUTES. Dispute Resolution. Please read this Arbitration Agreement carefully. It is part of your contract with BIBBOARDS and affects your rights. It contains procedures for MANDATORY BINDING ARBITRATION AND A CLASS ACTION WAIVER. Applicability of Arbitration Agreement. All claims and disputes (excluding claims for injunctive or other equitable relief as set forth below) in connection with the Agreement or the use of any product or service provided by BIBBOARDS that cannot be resolved informally shall be resolved by binding arbitration on an individual basis under the terms of this Arbitration Agreement. Unless otherwise agreed, all arbitration proceedings shall be held in English. This Arbitration Agreement applies to you and BIBBOARDS, and to any subsidiaries, affiliates, agents, employees, predecessors in interest, successors, and assigns, as well as all authorized or unauthorized Users or beneficiaries of services or goods provided under the Agreement. Notice Requirement and Informal Dispute Resolution. Before either party may seek arbitration, the party must first send to the other party a written Notice of Dispute (“Notice”) describing the nature and basis of the claim or dispute, and the requested relief. A Notice to BIBBOARDS should be sent to: Attn: Brian Goodell, BibBoards, Inc. d/b/a BibBoards, 2551 San Ramon Valey Blvd., Suite 226, San Ramon, California 94583. After the Notice is received, you and BIBBOARDS may attempt to resolve the claim or dispute informally. If you and BIBBOARDS do not resolve the claim or dispute within thirty (30) days after the Notice is received, either party may begin an arbitration proceeding. The amount of any settlement offer made by any party may not be disclosed to the arbitrator until after the arbitrator has determined the amount of the award, if any, to which either party is entitled. Arbitration Rules. Arbitration shall be initiated through JAMS, an established alternative dispute resolution provider (“ADR Provider”) that offers arbitration as set forth in this section. If JAMS is not available to arbitrate, the parties shall agree to select an alternative ADR Provider. The rules of the ADR Provider shall govern all aspects of the arbitration, including but not limited to the method of initiating and/or demanding arbitration, except to the extent such rules are in conflict with the Terms. Disputes involving claims and counterclaims under $250,000, not inclusive of attorneys’ fees and interest, shall be subject to JAMS’s most current version of the Streamlined Arbitration Rules and procedures available at http://www.jamsadr.com/rules-streamlined-arbitration/; all other claims shall be subject to JAMS’s most current version of the Comprehensive Arbitration Rules and Procedures, available at http://www.jamsadr.com/rules-comprehensive-arbitration/. JAMS’s rules are also available at www.jamsadr.com or by calling JAMS at 800-352-5267. The arbitration shall be conducted by a single, neutral arbitrator. Any claims or disputes where the total amount of the award sought is less than Ten Thousand U.S. Dollars (US $10,000.00) may be resolved through binding non-appearance-based arbitration, at the option of the party seeking relief. Any hearing will be held in a location within 50 miles of BIBBOARDS, unless the parties agree otherwise. If you reside outside of the U.S., the arbitrator shall give the parties reasonable notice of the date, time and place of any oral hearing. Any judgment on the award rendered by the arbitrator may be entered in any court of competent jurisdiction. Time Limits. If you or BIBBOARDS pursue arbitration, the arbitration action must be initiated and/or demanded within the statute of limitations (i.e., the legal deadline for filing a claim) and within any deadline imposed under the applicable JAMS Rules for the pertinent claim. Authority of Arbitrator. If arbitration is initiated, the arbitrator will decide the rights and liabilities, if any, of you and BIBBOARDS, and the dispute will not be consolidated with any other matters or joined with any other cases or parties. The arbitrator shall have the authority to grant motions dispositive of all or part of any claim. The arbitrator shall have the authority to award monetary damages, and to grant any non-monetary remedy or relief available to an individual under applicable law, the JAMS Rules, and the Agreement. The arbitrator shall issue a written award and statement of decision describing the essential findings and conclusions on which the award is based, including the calculation of any damages awarded. The arbitrator has the same authority to award relief on an individual basis that a judge in a court of law would have. The award of the arbitrator is final and binding upon you and BIBBOARDS. Waiver of Jury Trial. THE PARTIES HEREBY WAIVE THEIR CONSTITUTIONAL AND STATUTORY RIGHTS TO GO TO COURT AND HAVE A TRIAL IN FRONT OF A JUDGE OR A JURY, instead electing that all claims and disputes shall be resolved by arbitration under this Arbitration Agreement. Arbitration procedures are typically more limited, more efficient and less costly than rules applicable in a court and are subject to very limited review by a court. In the event any litigation should arise between you and BIBBOARDS in any state or federal court in a suit to vacate or enforce an arbitration award or otherwise, YOU AND BIBBOARDS WAIVE ALL RIGHTS TO A JURY TRIAL, instead electing that the dispute be resolved by a judge. Survival of Agreement. This Arbitration Agreement will survive the termination of your relationship with BIBBOARDS. Emergency Equitable Relief. Notwithstanding the foregoing, BIBBOARDS may seek emergency equitable relief before a state or federal court in order to maintain the status quo pending arbitration, and may initiate such proceedings before Notice. A request for interim measures shall not be deemed a waiver of any other rights or obligations under this Arbitration Agreement. Claims Not Subject to Arbitration. Notwithstanding the foregoing, any BIBBOARDS claims of defamation, violation of the Computer Fraud and Abuse Act, and infringement or misappropriation of BIBBOARDS’s patent, copyright, trademark or trade secrets shall not be subject to this Arbitration Agreement. Courts. In any circumstances where the foregoing Arbitration Agreement permits the parties to litigate in court, the parties hereby agree to submit to the personal jurisdiction and venue of the state or federal courts located closest to San Ramon, California. YOU AGREE THAT BIBBOARDS will be irreparably injured if the provisions of this Agreement are breached by you and/or not specifically enforced. YOU AGREE THAT if you commit or, in the belief of BIBBOARDS, threaten to commit, a breach of any of the provisions of this Agreement, BIBBOARDS and each of its subsidiaries shall have the right and remedy, in addition to any other remedy that may be available at law or in equity, to have the provisions of this Agreement specifically enforced by any court having equity jurisdiction, it being acknowledged and agreed that any such breach or threatened breach will cause irreparable injury to BIBBOARDS and its subsidiaries, and that money damages will not provide an adequate remedy therefore. YOU AGREE THAT if this Agreement is breached by you, BIBBOARDS will be entitled to recover its legal fees and costs incurred in the enforcement of this Agreement. If any part of these TOU is determined by a court or tribunal of competent jurisdiction to be invalid or unenforceable, it will not impact any other provision of these TOU, all of which will remain in full force and effect. These TOU constitute the entire agreement of the parties with respect to the Site and supersede all prior communications, promises and proposals, whether oral, written, or electronic, between you and BIBBOARDS, with respect to the Site. If you violate any portion of these TOU, BIBBOARDS reserves the right, without an obligation to do so, to deny you access to the Site and/or remove any UGC you may have posted/uploaded on the Site. If BIBBOARDS terminates your access to the Site, BIBBOARDS may also delete your Site account. BIBBOARDS has the right to terminate any password-restricted account for any reason. If your Site account is terminated, you are prohibited from re-registering for a new Site account without first getting permission from BIBBOARDS. BIBBOARDS's failure to enforce any portion of these TOU is not a waiver of such portion. BIBBOARDS reserves the right, without notice and reason, to take down or terminate the Site or otherwise revoke any and all access granted to you related to the Site. We may, at our sole discretion, require additional information or forms of identification and may use these to determine any limitations that may be placed on your use of the Site. You agree that BIBBOARDS is not liable to you or any other third party for this action. BIBBOARDS does not assume any liability or responsibility for your use of the Internet or the Site including, but not limited to, any change your computer or related systems may sustain as a result of accessing the Site. You are solely responsible for obtaining access to the Site and any fees associated with such access (e.g., airtime charges, ISP fees, other third party fees, etc.). In addition, you must provide, and you are responsible for, all equipment necessary to access the Site. You are free to text link to the Site so long as there is nothing deceptive or infringing about the link. BIBBOARDS may revoke this linking permission at any time and for any reason. If you need to contact BIBBOARDS for any reason not already specified in these TOU, please use the following contact information: Brian Goodell, BibBoards, Inc. d/b/a BibBoards, 2551 San Ramon Valey Blvd., Suite 226, San Ramon, California 94583, brian@bibboards.com, 925-918-2494.